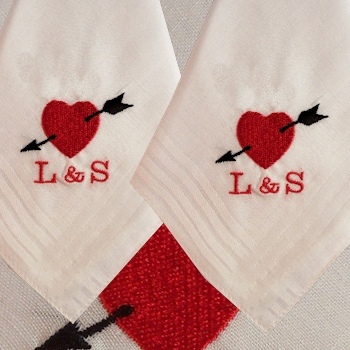 A pair of two heart handkerchiefs personalised with a name or initials of your choice and featuring an classic love heart with arrow embroidery motif. 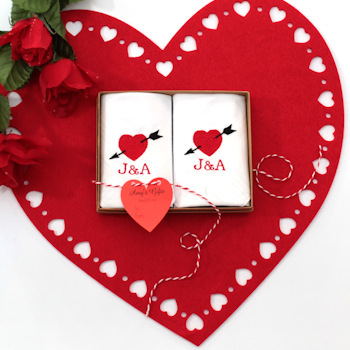 This sweetheart gift set has an arrow pierced love heart embroidered on two cotton hankies, and personalised with a name or initials in a thread colour of your choice. Text and heart are usually sewn to match.